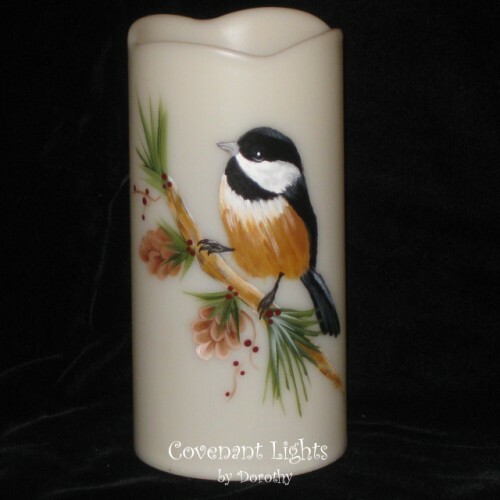 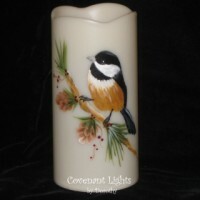 Adorable little hand painted Chickadee sitting on an evergreen branch. 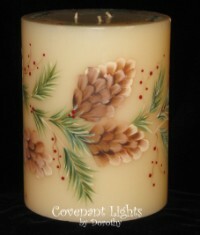 Pine cones, evergreens and berries on opposite side. 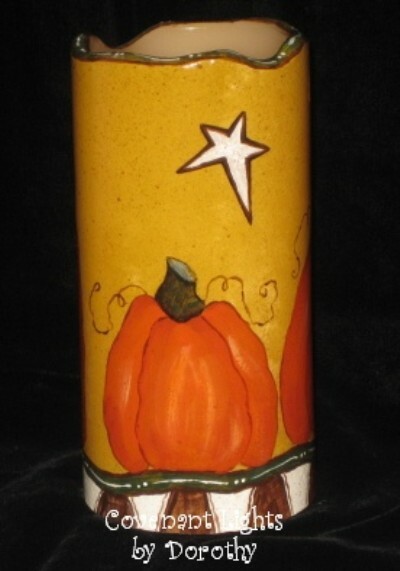 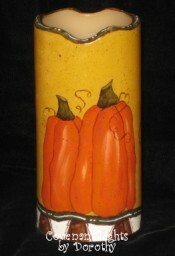 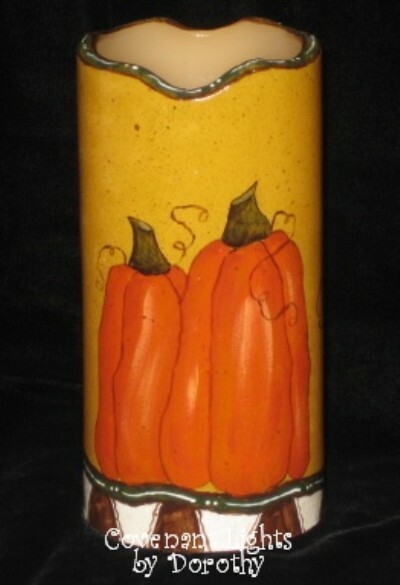 Hand painted Primitive Folk Art style Pumpkin design. 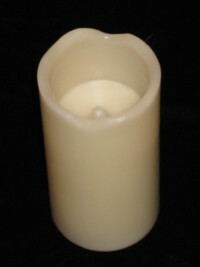 Pictured is a 6" Flameless candle. 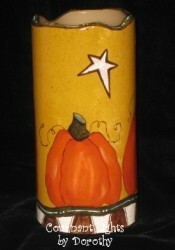 Such a fun decoration to use year after year. 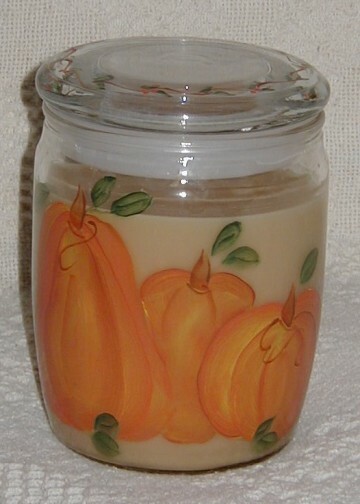 Pumpkins hand painted on a vanilla jar candle. 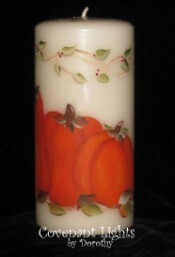 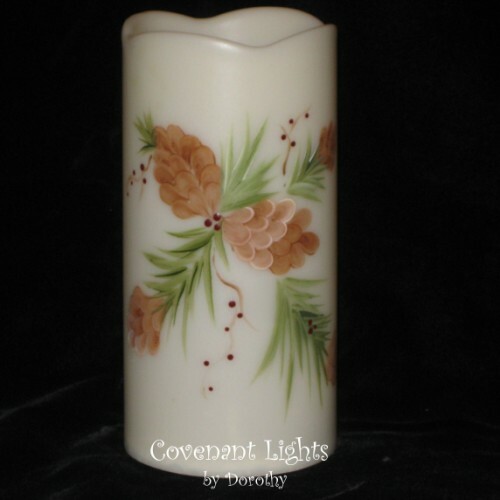 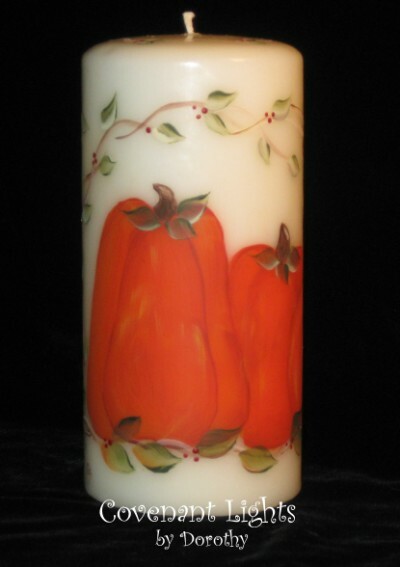 Hand painted Pumpkins and greenery on a vanilla candle.